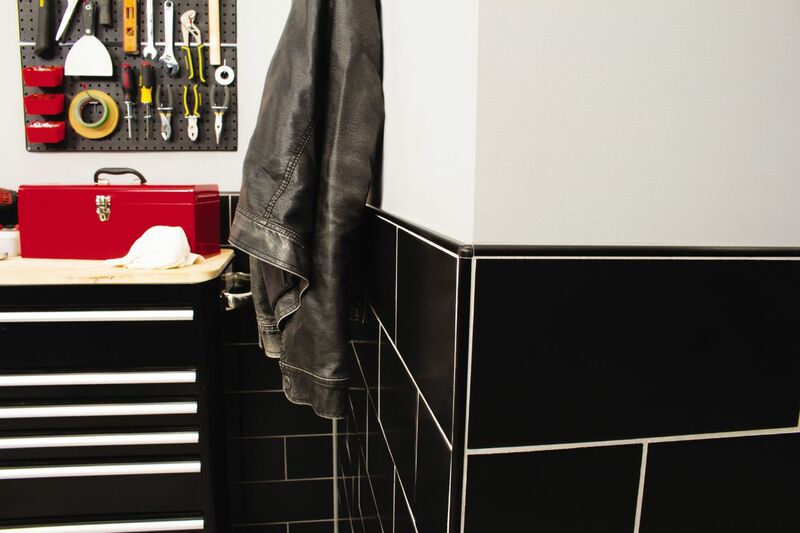 The RONDEC bullnose profile with matching corners are featured in brushed black anodized aluminum and are installed along the top of the black tiled wall. 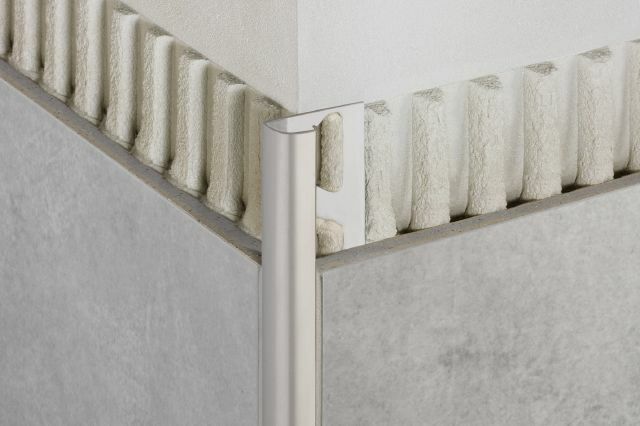 The DILEX-EKE movement joint profile in classic grey separates individual tile fields at floor-to-wall transitions and inside wall corners. 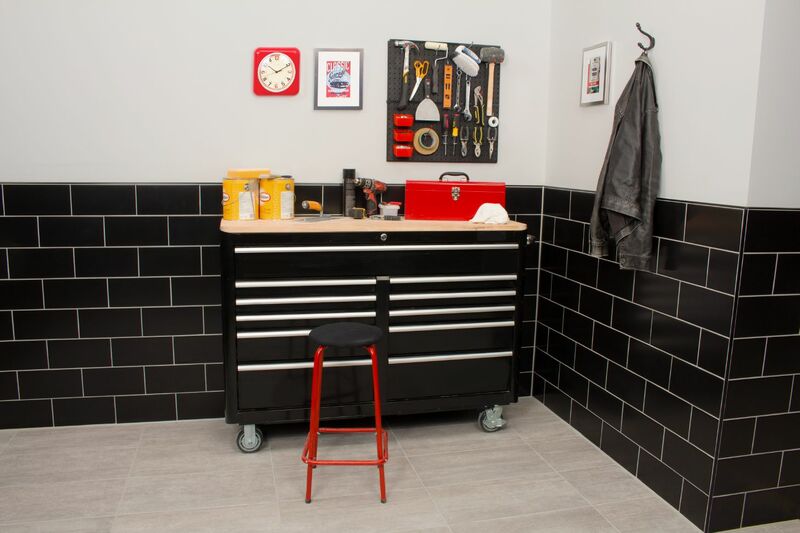 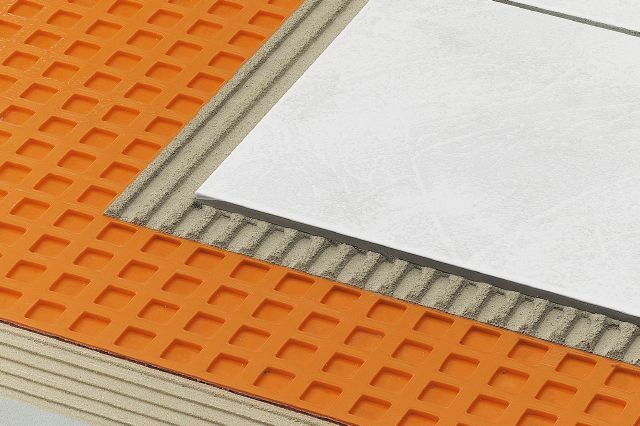 Protecting the tile and substrate from damage in this work space is the DITRA uncoupling membrane. 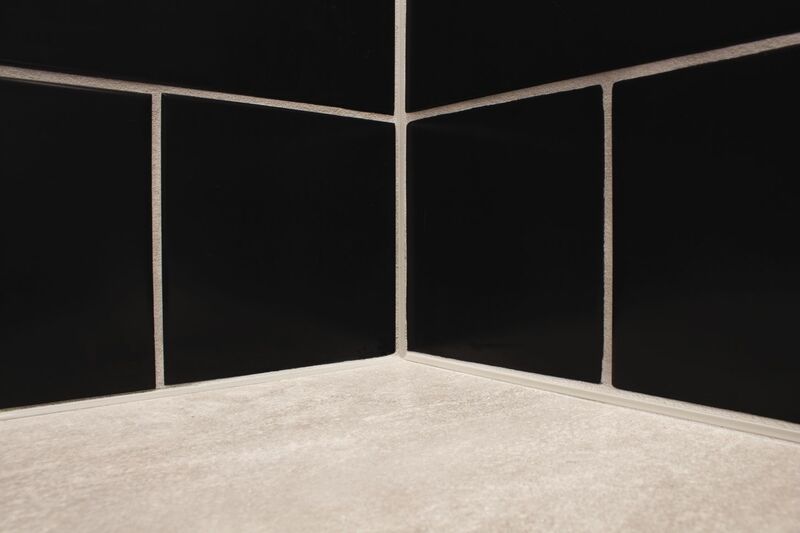 RONDEC bullnose profile with matching corners in brushed black anodized aluminum trim the black wall tile. 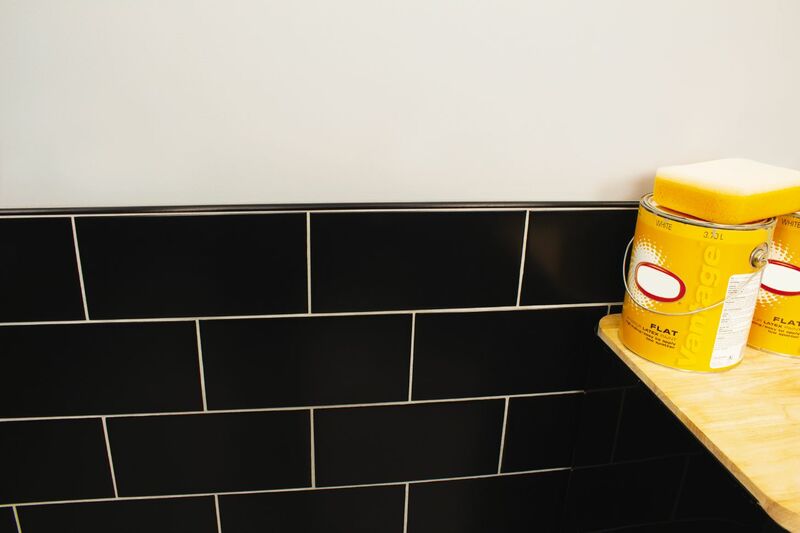 RONDEC bullnose profile in brushed black anodized aluminum is used on the tile wall, providing a clean finish and preventing the tiles from chipping. 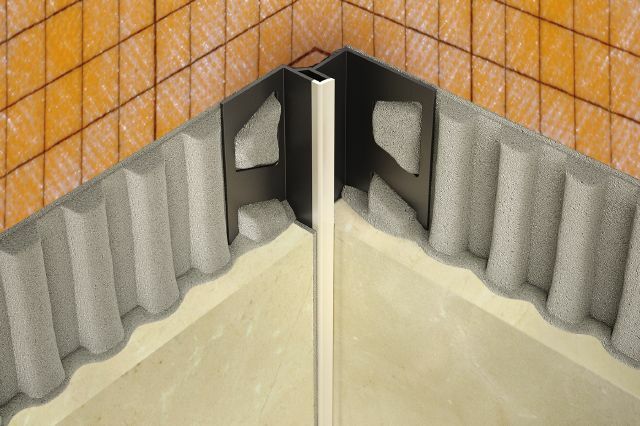 DILEX-EKE PVC movement joint profile in classic grey separates individual tile fields at floor-to-wall transitions and inside wall corners.